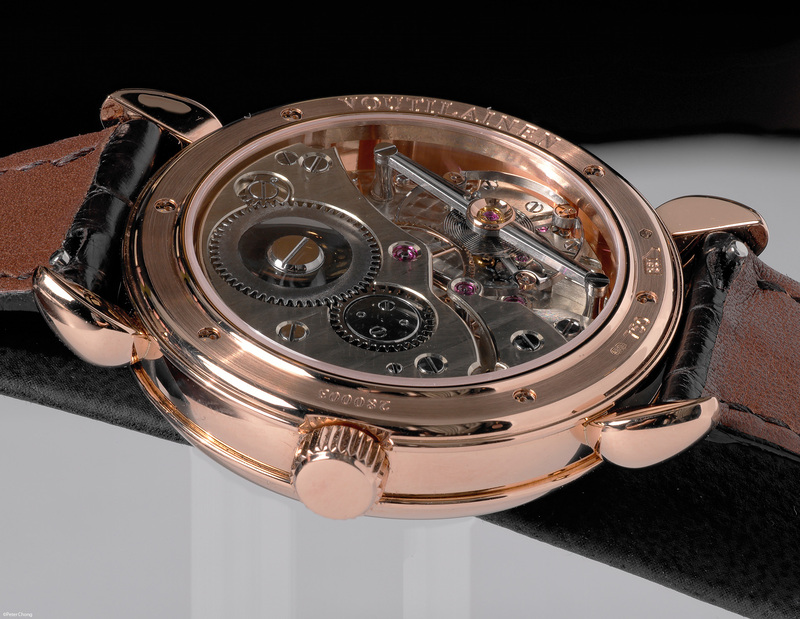 Following up on last Friday's remarks using DeBethune's remarkable DB25T as an example, today's post I use the same combination on the Voutilainen Vingt8 (28). Also photographed in L'Atelier by The Hour Glass using my usual set-up. As mentioned in Tuesday's post, the APO MACRO SUMMARIT-S 1:2,5/120 mm only does images to half size. However the sensor size is very large (almost the same size as the one in my regular Hasselblad H3d-39), and for web use, there is plenty of room for crop. Here are some cropped images. The establishment shot...showing the whole back of the movement. This is a cropped image. 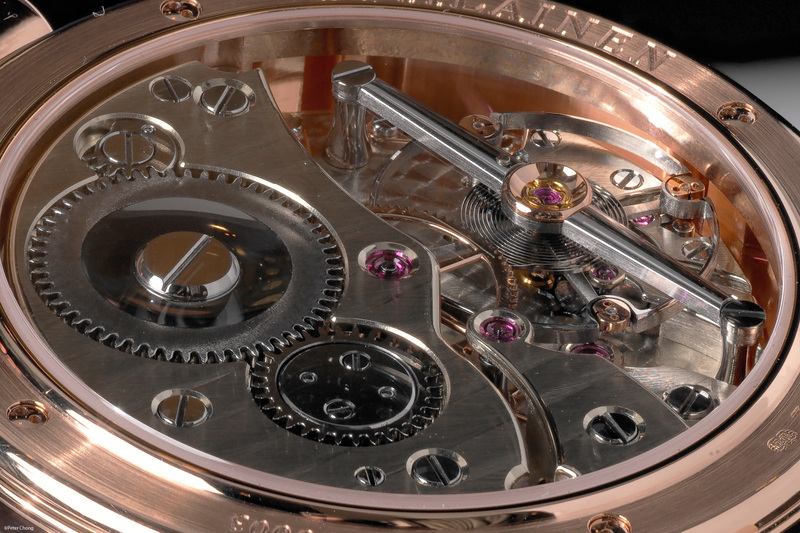 The movement is designed and manufactured by Kari Voutilainen...a Finnish watchmaker who has made his home in Motiers...a little village just a few minutes away from Fleurier in the Swiss Jura. 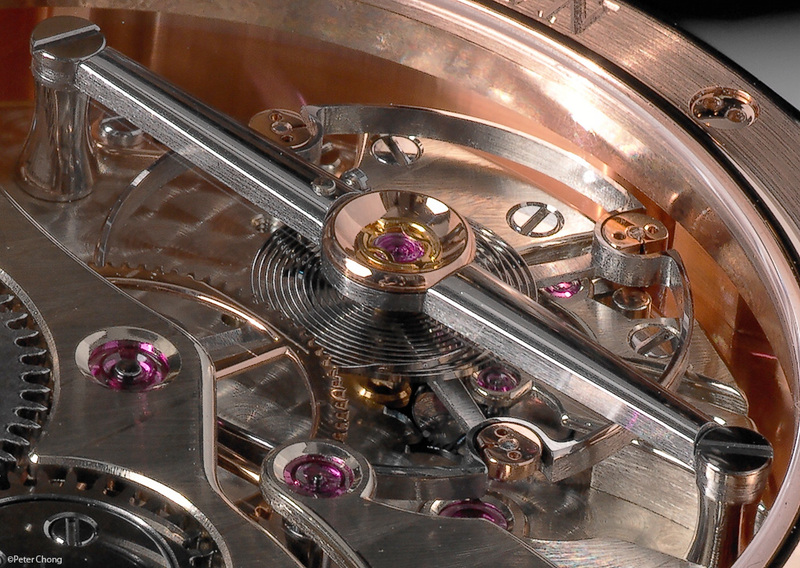 Also note the magnificent balance bridge, like old timers used to do for tourbillons. I would have preferred a tapered rounded bridge like those used in Lange's Pour le Merite Tourbillons, but Kari's example is very nice as well. Next week, I explore the Leica S2 in interiors, when I shoot with Chris Lee at MalMaison by The Hour Glass.